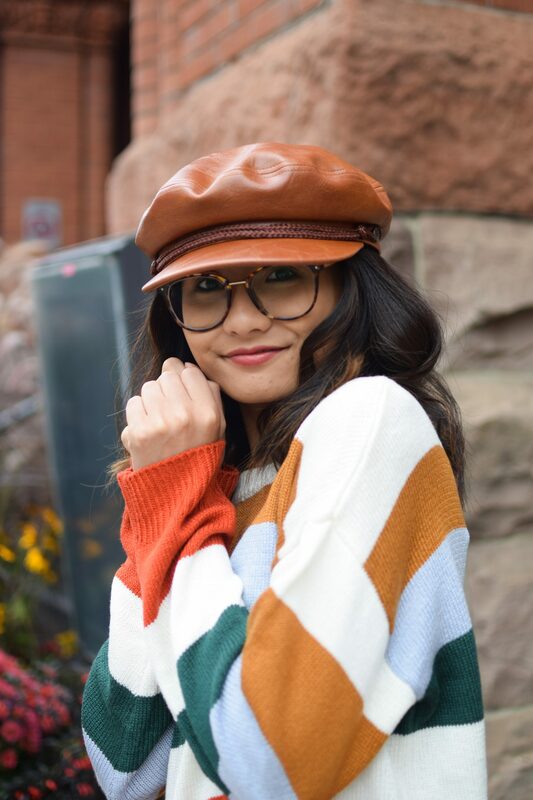 A lot of people enjoyed my “Having the Ultimate Summer Wardrobe with Forever21” post I did back in the summer that I decided to continue it onto the autumn season to show you how you can have an affordable wardrobe without spending $50+ per item. I feel like a lot of people think you need a lot of money or an endless amount of clothes to have a fashionable wardrobe. If you notice on my blog, I rewear a lot of pieces and I constantly show certain items over and over again. That’s why I posted a video on IGTV and Youtube about 10 Autumn Outfits You’ll Repeat All Season and the concept of the video is all how I always incorporated one or more pieces into the following outfit to show that you can have a totally different look. Continuing on, I hope this post and the video inspires you to incorporate new pieces into your wardrobe and fashion inspiration. 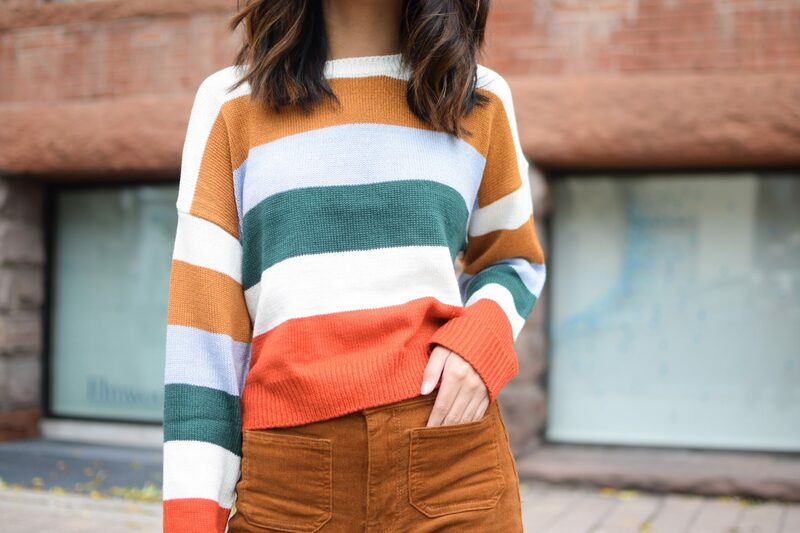 Fall season calls for the cozy and chunky knits! I’ve been loving the colour selection at Forever21 right now and especially all the colourblocking they’ve been doing. 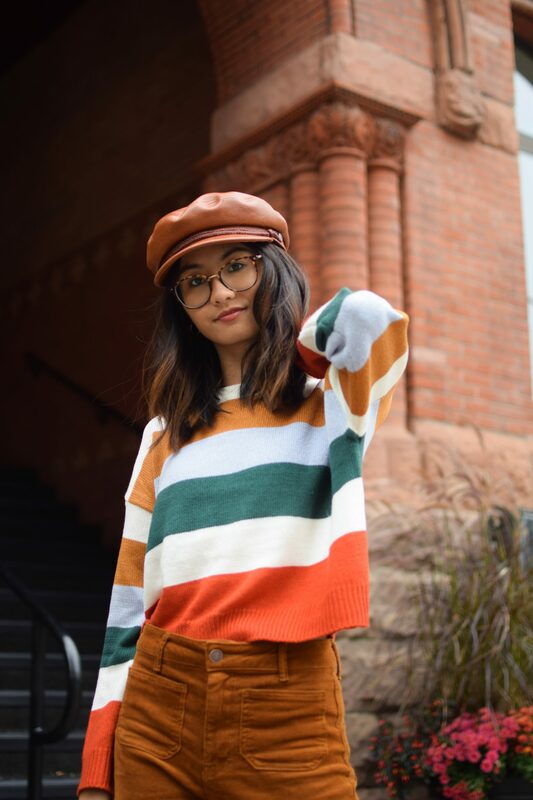 The one I’m wearing in this post is the first one shown and it’s definitely my new go-to sweater! 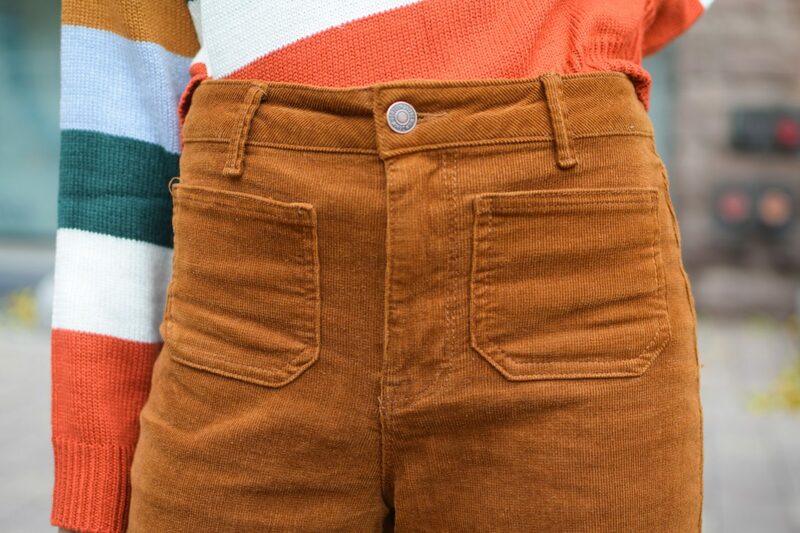 It’s a bit cropped but it’s perfect with the high waisted corduroy pants I’m wearing! 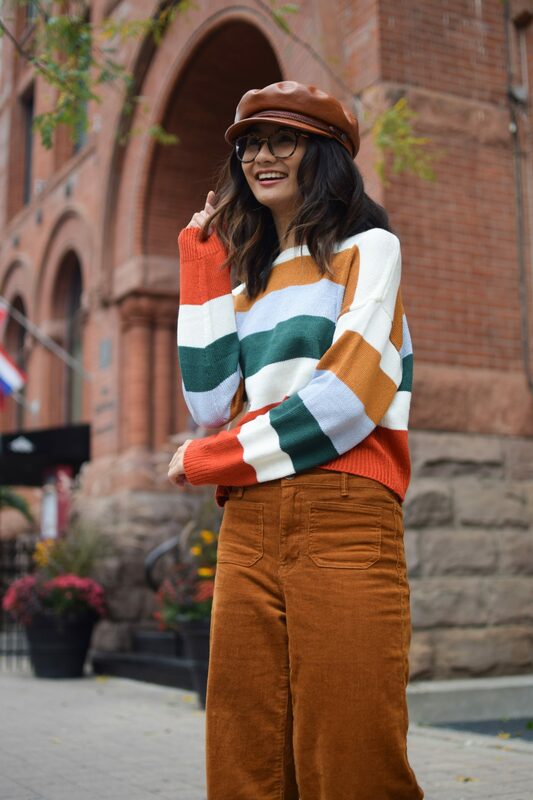 You actually can’t go wrong with corduroy for the autumns season! It’s definitely a type of jacket that’s very versatile and a classic piece you can keep in your closet. Of course, plaid being the typical fall print you can spice things up with a plaid coat and a very simple attire underneath; it will make the perfect statement! Like I mentioned before, I’m wearing these gorgeous high-waisted corduroy pants that flare out at the bottom from Forever21 as well! I’m so excited to get a lot of wear out of these this year. It definitely has the 70s vibe going on with the flared bottom so it’s definitely a purchase I’d consider if you want to stay classy but trendy at the same time. You can never go wrong with ankle boots for fall! Personally, I’ve loved how affordable and trendy their shoe selection is and as someone who constantly breaks their shoes, having something affordable is great.